I have had this recipe bookmarked forever! Originally it was made with chicken, but it works great for leftover turkey. It puts a whole new spin on your Thanksgiving dinner. The base of this pie is a box corn bread mix. You mix in a can of cream style corn. This would be another great opportunity to use up some leftovers. If you have any kind of corn left from your dinner, just mix that in. My family makes a creamy, cheesey corn dish for the holidays. I would use that in a heart beat instead of having to have a can of corn on hand. This came together very quickly. In my head I thought it was going to be more work than it was. After about 10 minutes of work it was baking in the oven, and we were waiting for ooey, gooey, sauce, cheesey goodness. A little heat from the enchilada sauce, cornbread, and spiced turkey make for a great dinner. 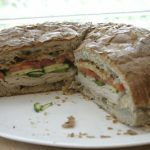 This was a hit in my house, and will be made again and again (with turkey or chicken. Great use of leftover turkey (or chicken). Corn bread base, spiced turkey, enchilada sauce, and cheese. Preheat oven to 400 degrees. Coat a pie plate with non stick spray. In a bowl combine the corn muffin mix, egg, milk, corn, cayenne, green chiles, and 1 Tbls taco seasoning. Stir until everything is combined and moist. Pour into prepared pie plate. Bake for 20-30 minutes. The corn bread will barely be set. Meanwhile, toss the turkey with the remaining taco seasoning. 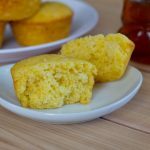 Remove corn bread from the oven. Using a fork pierce the entire top of the corn bread. Pour enchilada sauce over the top. Spread turkey over the top of the sauce, and sprinkle with cheese. Return to the oven and bake for an additional 15 minutes, or until the cheese is melted. Remove from the oven, and let sit for 5 minutes before serving. Top with cilantro if desired. Don’t stop there – go check out the rest of the #SundaySupper crew and their delicious Thanksgiving leftovers recipes! I can’t believe this amazing line up. Please join on us on Twitter throughout the day during #SundaySupper today, November 18, 2012. In the evening we will meet at 7pm EST for our weekly #SundaySupper live chat. 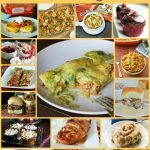 We’d also love to feature your recipe for Thanksgiving Leftovers on our #SundaySupper Pinterest board to share them with all of our followers, too. Why oh why did I look at this right before lunch? I just wish I could reach in the screen and take a portion of this. I have made tamale pie before but my recipe pales in comparison to this. I am going to have to give this a try with my leftovers. Oh my, there is nothing more comforting than a casserole. This tamale pie does count as a casserole right? Delicious! I love tamale pies and this one sounds perfect!!! I’ve had this one bookmarked for a while too! I can’t wait to make it after I see yours! Yeah…this is my kind of leftovers too! Saving this one for the remainder of hte roasted turkey breast I bought to make my dish yesterday! 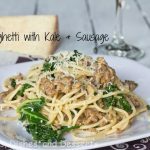 This has got to be one of my favorite recipe’s yet! My kids will love it! wow this looks fabulous!! I know we’d love the flavors – so different from the few days prior! What a great recipe! Can’t wait to try this one! 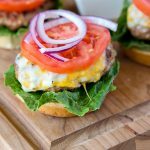 I saw this on Pinch of Yum and definitely bookmarked this! I love the idea of using turkey though because let’s face it, we will definitely have plenty of that leftover after Thursday! This looks just fantastic!! I think I would cook up turkey (or chicken) just to make these! Love, love, love it! 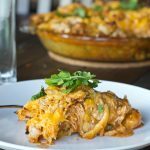 I love the Mexican twist to turkey leftovers! After a few days, you need new flavors! OK…I HAVE to make this! It looks fantastic! This sounds super tasty! Perfect for the chilly weather we have been having! Happy Sunday. 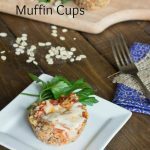 What a delicious way to use leftovers! Love the flavors! Very pretty and yummy looking. 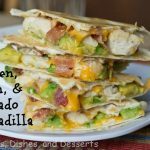 I’m thinking that even when one is tired of turkey, this would be delicious as it’s so load with fabulous flavor, totally unlike Thanksgiving flavors! 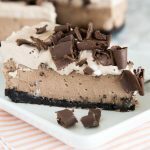 I love the ingredients in this pie – looks great!!! 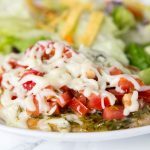 I have never had tamale pie, and i keep craving it! This looks delicious and amazing. Delist! This looks simple and tasty. Your photos are gorgeous! This looks and sounds sooooo good. I absolutely love your spin on this with the turkey. It’s making me wish it was thanksgiving here in Canada! 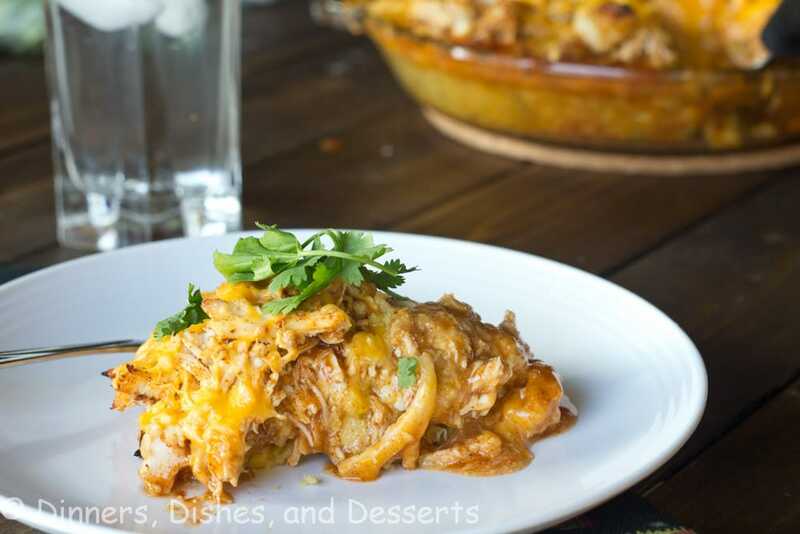 I still have yet to eat a tamale, so maybe this tamale pie would be a good starting point! 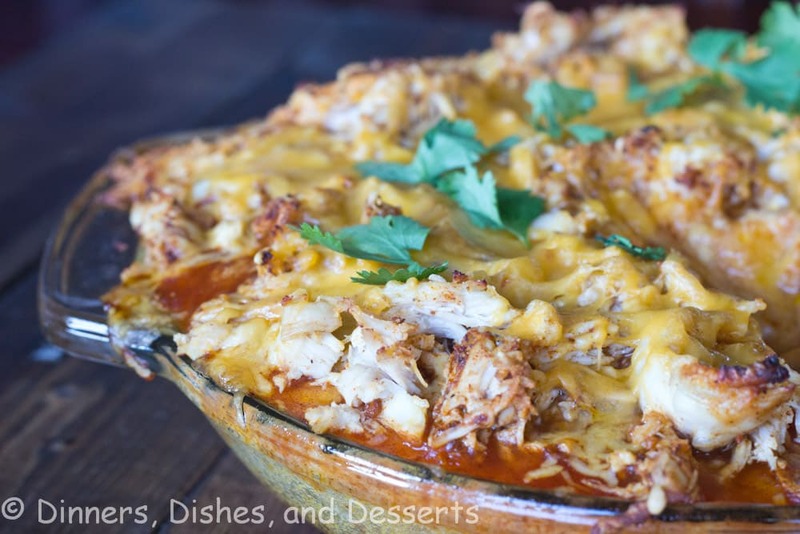 Any cheesy casserole gets my attention…and this is no exception! Great idea for leftovers! 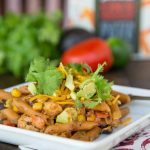 Oh this sounds really yummy Erin, I may have to make this tomorrow for dinner because we love Mexican dish that are easy and tasty…thanks for the recipe! 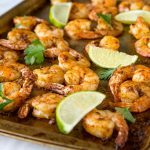 I’d love to try this with Mom’s corn pudding, but there’s never any left! 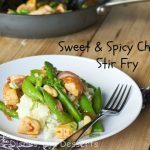 I’ve made this with chicken before and it is one of my favorites! I know it woud be great with turkey too. 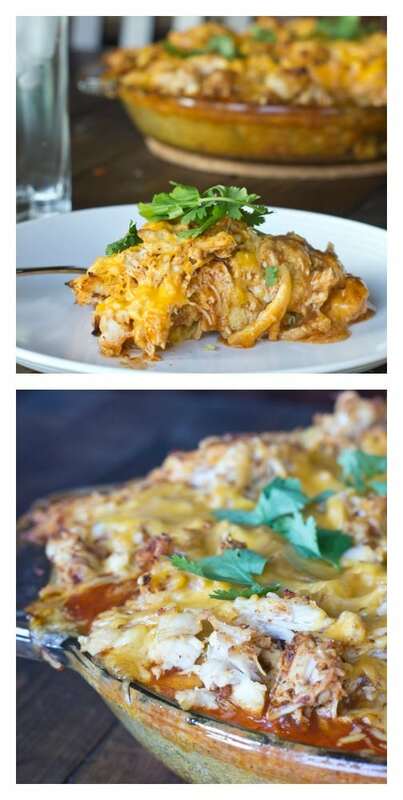 Erin, this tamale pie looks amazing. I hope I have extra turkey so I can try this recipe. Yum! oh how I love tamales. My coworker use to buy me a couple tamales everyday from the her local street vendor. They were the best tamales ever. But this is so perfect because I don’t have to go track down the street vendor and I can just make it myself at home. That looks pretty amazing! 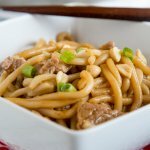 I really love leftover recipes that take the flavors in a completely new direction! 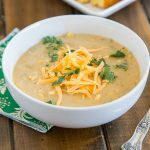 If my family ever had any of our corn pudding left, I would totally use it in this recipe! 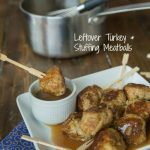 What a great recipe for leftover turkey…my guys would love this! This pie looks so delish! Great idea from leftover turkeys. Love the color of the result too! 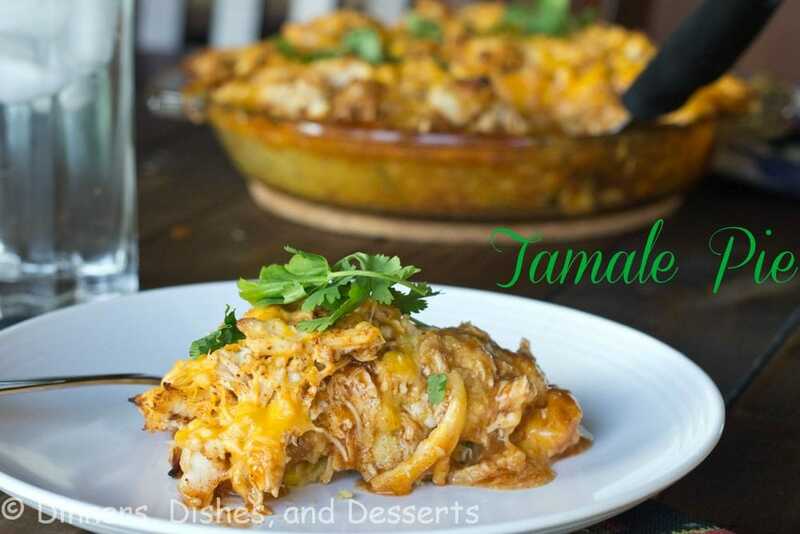 Turkey Tamales… ¡Delicioso! This one is a keeper. Bookmarking it now! I could have sworn I commented on this – but I guess it was all in my head. This looks amazing. I can’t wait to try this. I may even have to make a chicken or turkey just for the leftovers and excuse to try new recipes! Looks dee-licious! Will definitely have to give this a try! Can you use polenta instead of cornbread mix? I would think if you cooked the polenta on the stove top first that would work great.